I’ve never written a books series but I might one day and it kind of terrifies me. When a series becomes popular, the expectations from readers are key high and so many become disappointed when the author ends things in a way they didn’t expect or like. I just finished the final book in Lauren Oliver’s Delirium series, which got me thinking on this subject. I loved the first two books (see here) and was desperate to read the third. This series is a YA dystopian story about a society where love is treated as a disease and everyone is cured when they reach a certain age of the ability to love. The main character Lena is desperate to avoid getting sick before her cure date until she meets Alex and learns exactly what love is and then begins her fight to save it. The second book ended with a big cliffhanger and this book picks up three days later – Lena is on the run with the resistance, torn between two boys and unsure whether they can survive against the Government and rough life in the Wilds. What’s interesting about this series is that each book has a different structure – the first book is told from Lena’s point of view and includes extracts from Government propaganda about love; the second is told from Lena again but flits between the past and present, and the final book is spilt between Lena and her ex best friend Hana who has been cured. 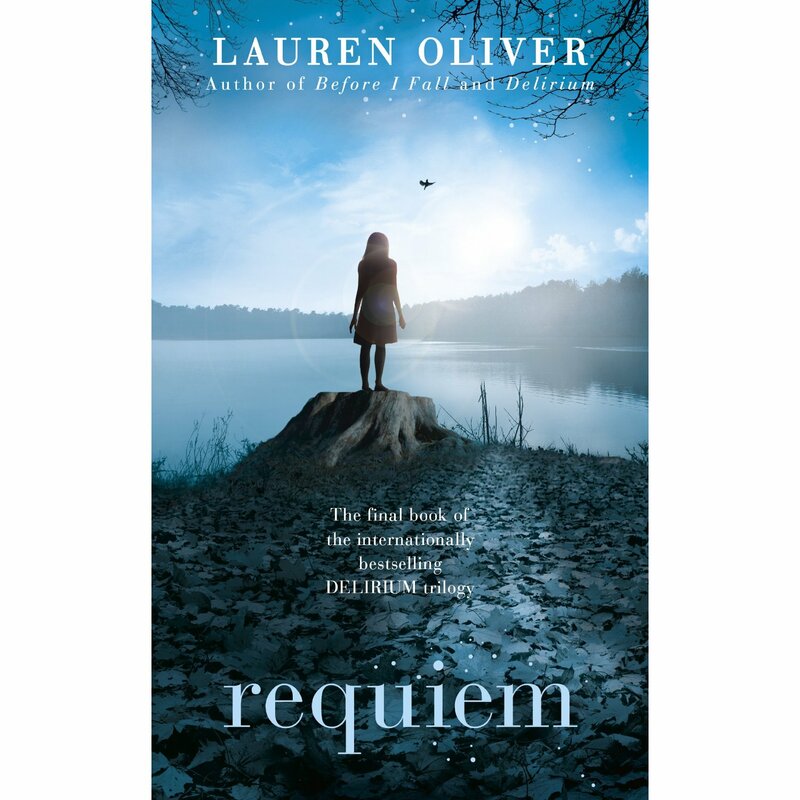 I think the different structures work and help keep us hooked – you never know what’s coming next and Requiem shows us what it’s like for someone in society fighting for love to be banned and someone who’s desperate to change things. I’ve read some disappointed reviews about how the book ends with some loose ends for you to interpret but what I enjoyed was the focus on the individual and their story. Yes they take place in the wider fight against the Government but we stay focused on the characters we know. Ultimately, this story is about love and when love is banned, the choices and risks people take to fight for it. I think it’s clever that it doesn’t paint society as completely wrong or the resistance as completely right – it’s hard in the Wilds, people turn on each other and die from the elements, starvation or fighting with the authorities and in society, some are doing really well but others are poor, some find the cure has made then calmer and more focused, some find it didn’t work. There’s no black and white – the characters have to make their choices again and again. Overall I’d highly recommend this series. I like how it broke rules and ended in a way us readers can debate. I feel for the author and how some are pleased and others not as she write a brilliant first book and expectations were high. I don’t know whether I’ll ever write a series but I definitely learned some things from this one and it kept me entertained right to the end, which I guess is all you can really ask for from a book series. Has a books series ever disappointed you? Yeah, I think we talked a bit about this before, ‘The Hunger Games’ book 3 disappointed me. * waits for pitchforks * It just felt so rushed, and like she’d been asked to write the book but she didn’t have enough story. Just so bleh. I do agree – The Hunger Games book 1 was so amazing and it did seem like they added the other two books on. It’ll be interesting how the film turns out! Yes, a thousand times. I got so angry at the end of the Serpentwar Trilogy that I threw the book across a room. Three books building up to a massive battle and it’s coming it’s totally going to happen the armies are RIGHT THERE and there’s only a handful of pages OH MY GOD IT’S SO EXCITING and awizardstopsthemandtellseveryonetogohome. There are more books in the overall series but that was the first time I’d read a story arc that self interrupts for the sake of books as yet to be written. RAGEFACE. I’m getting an impression you were angry… 🙂 I’ve ever read it and won’t now ha! I guess the last Twilight book also has that anti-climax – we’re going to fight then oh no we won’t but they at least give a reason why and the film made that clearer. That’s why the HP books work as through it all you want a battle at Hogwarts and we get one! Hmm. Aside from Harry Potter, I have yet to see any other series to the end. I’ve started The Golden Compass and The Demon King, but I didn’t feel the same urge to complete them like I did with HP. That said, I’m incredibly hesitant when it comes to writing series. I worry that I might not be able to pull it off (or even finish writing it). Actually I read The Golden Compass and did’t read on either. It’s definitely a scary thing to write a series, I think I want to get more confident with writing first! Thanks! Let me know what you think if you read it!